Whether good or bad, Seoul always makes a first impression. At some moments, the capital city of South Korea seems too much to handle; in others, you’ll feel like you just can’t get enough of it. Now, I can say confidently that one day in Seoul isn’t enough time to really come to grips with this complex city. But, hey, sometimes you gotta work with what you’ve got. Visiting a big city like Seoul on a time-crunch is never easy. 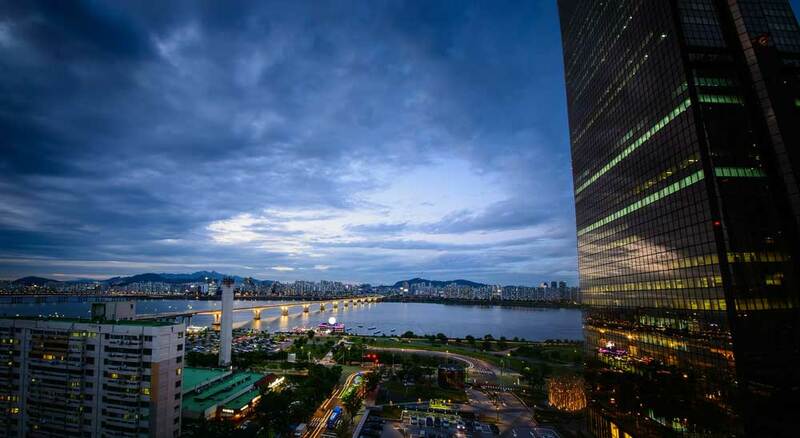 There’s a multitude of interesting things to do in Seoul, spreading far and wide, and even a handful of Seoul day trips that make an excellent case for extending your stay in South Korea’s capital just a tad longer during your Korea itinerary. This 1-day Seoul itinerary is designed to give you a small taste of the city—hopefully enough to convince you to return or even inspire you to change your plans on the spot. After checking out several of the best places to visit in Korea, it’s hard for me to conclude that there’s anything on the peninsula quite like Seoul. 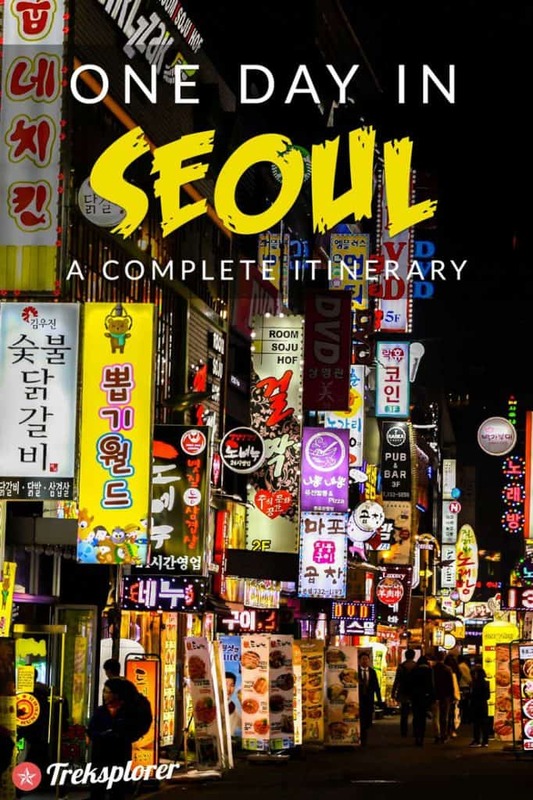 Preparing for your Seoul itinerary? Don’t forget to protect yourself with travel insurance! There’s no better place to start your Seoul itinerary than Gyeongbokgung Palace. Built as the main Joseon dynasty palace in the late 14th-century, Gyeongbokgung is one of the most endearing symbols of Seoul and an absolute must-see on your first day in Seoul. Although it’s nowhere near as grand as it once was (the current restoration project seeks to change that), Gyeongbokgung Palace still has the power to whisk you away to another time. Spend at least an hour exploring the palace grounds—from its halls and pavilions to its gates and bridges—to introduce yourself to Korea’s deep architectural legacy and culture. If you’re interested in history, Gyeongbokgung Palace is also home to the National Folk Museum of Korea and the National Palace Museum of Korea. Self-professed culture vultures should carve out some time to browse through both at leisure. Seoul Iconic Spots Photo Tour: Set your social media accounts ablaze with snapshots from this ultimate full-day Seoul photo tour! Visit some of the city’s most iconic sites including Gyeongbokgung Palace, Insadong, and Bukchon Hanok Village with the help of a local guide to see Seoul at its absolute finest. 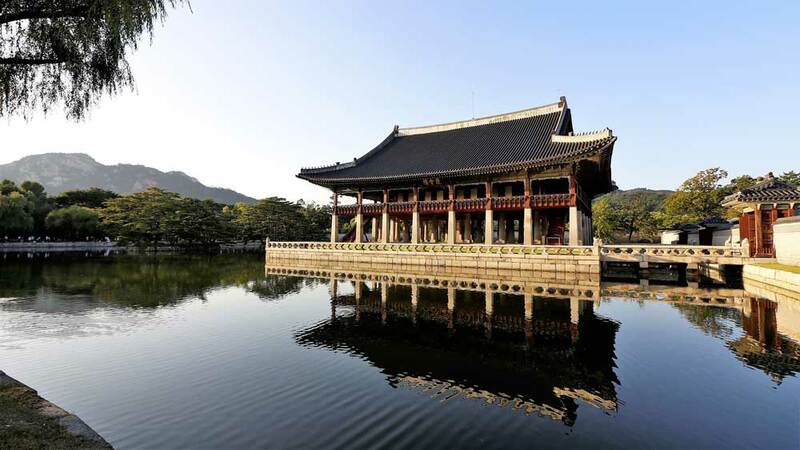 Seoul City 1-Day Tour: Get acquainted with top places to visit like Gyeongbokgung, Changdeokgung, and Insadong with this complete guided tour. End with a solid belly-laugh at the world-famous NANTA comedy show or a visit to a traditional folk village. Intro to Seoul Tour: Start with the basics on this 3-hour morning tour that includes visits to Jogyesa Temple, Gyeongbokgung Palace and Cheongwadae (The Presidential Blue House). Hotel pick-up and entrance fees are included. 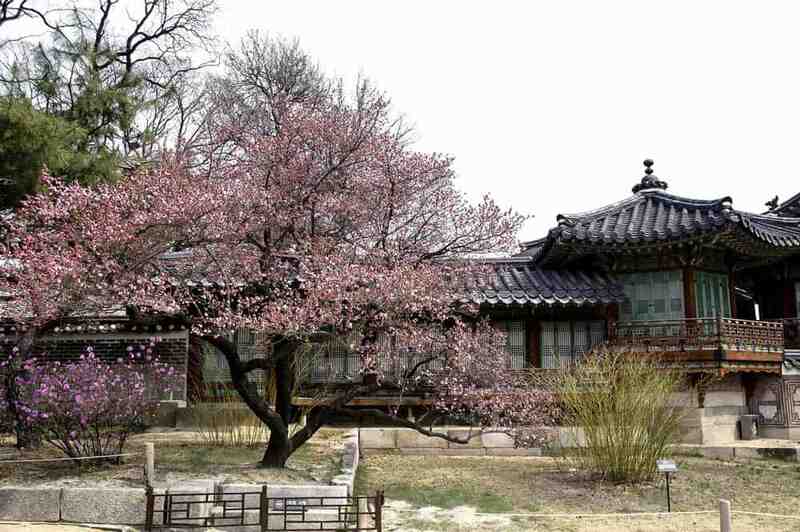 From Gyeongbokgung Palace, it’s a short trek to Bukchon Hanok Village via Bukchon-ro 5-gil. Whereas most of the city consists of skyscrapers and fairly non-descript apartment buildings, Bukchon Hanok Village wears the past on its sleeve—and does so with spectacular grace. With origins reaching back almost 600 years, the old traditional Korean houses (called hanok) you’ll find in this former village will sweep you back to a long bygone era in Korea’s history. The narrow alleyways of Bukchon Hanok Village form what’s arguably Seoul most interesting quarter to explore. Unlike many of the Korean folk villages around the country, this isn’t just a showpiece; Bukchon Hanok Village is a living neighbourhood that’s home to hundred of residents. Along the way, you’ll encounter shops, teahouses and cafés where you can stop to peruse or relax among the stunning scenery. Should you crave a little more than just walking around, there’s a handful of museums and cultural centres in Bukchon Hanok Village. One of the most popular stops is the Bukchon Traditional Crafts Centre. Get involved and try your hand at making traditional Korean stationary, ornaments, paper dolls or jewellery for something out of the ordinary. World Cultural Heritage Tour: Explore some of Seoul’s most famous UNESCO sites on this fascinating half-day tour. Upgrade to the full-day option for an even stronger fix of Korean culture by visiting Suwon Hwaseong Fortress in the afternoon. Seoul Iconic Spots Photo Tour: Instagram-obsessed travellers can’t get enough of this full-day photo that visits some of central Seoul’s most picturesque locations including Bukchon Hanok Village. Tour includes an option to rent a hanbok (traditional Korean outfit) as you walk around admiring the city sights. Trot east of Bukchon Hanok Village to stumble upon the glories of Changdeokgung Palace, perhaps the handsomest of Seoul’s Joseon palaces. Although originally built as a secondary palace to Gyeongbokgung, Changdeokgung Palace spent just thirty years shy of three centuries as the main royal residence in Seoul. Besides exploring the amazing architectural masterpieces of Changdeokgung (₩3,000), the palace’s Huwon Secret Garden is one of Seoul’s best places to visit. At almost 80 acres, Huwon Secret Garden (₩5,000) is filled with beautiful natural landscapes and pavilions that are ripe for exploration. Time your visit to Huwon Secret Garden in autumn as the leaves change colour for a scene will leave you truly mesmerized. World Cultural Heritage Tour: Visit some of Seoul’s best known cultural sites on this complete half-day tour. The tour includes a tradition Hanjeongsik (set meal) lunch, entrance fees, and hotel pick-up. Afternoon UNESCO & Traditional Markets Tour: Combine a visit to Changdeokgung Palace with the bustling markets of Insadong and Namdaemun on this 4-hour afternoon tour. All entrance fees and hotel pick-up & drop-off are included. Once you’ve had your spirits uplifted by Changdeokgung and the Huwon Secret Garden, head southwest towards the artistic and cultural enclave of Insadong. 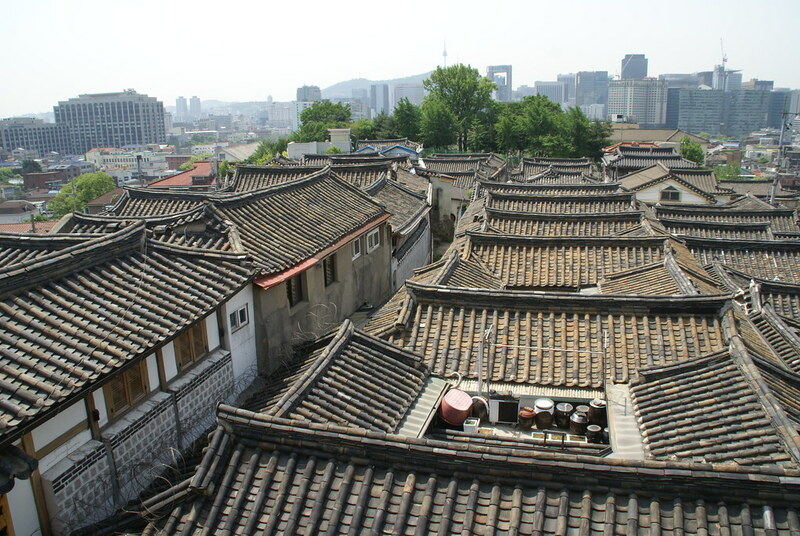 If Bukchon Hanok Village is the residential heart of old Seoul, Insadong is its commercial side. 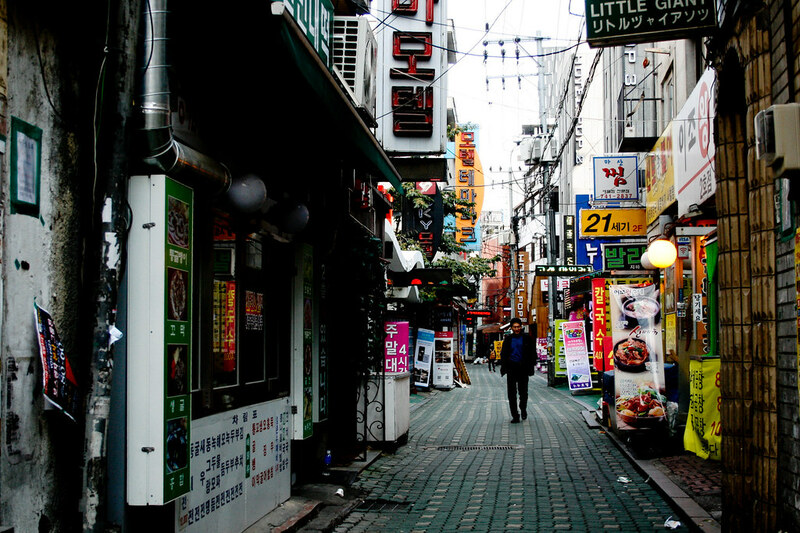 Settle in to Insadong by brushing through the alleyways and side streets that emanate from its main drag, Insadog-gil. As you explore, slip into art galleries, craft shops, bookstores, and teahouses to get a taste of what Insadong’s all about. Insadong’s also one of the best places to eat in Seoul. Be sure to grab a small street-side Korean snack along the away. Just don’t eat too much—there’s plenty more delicious food to come soon! 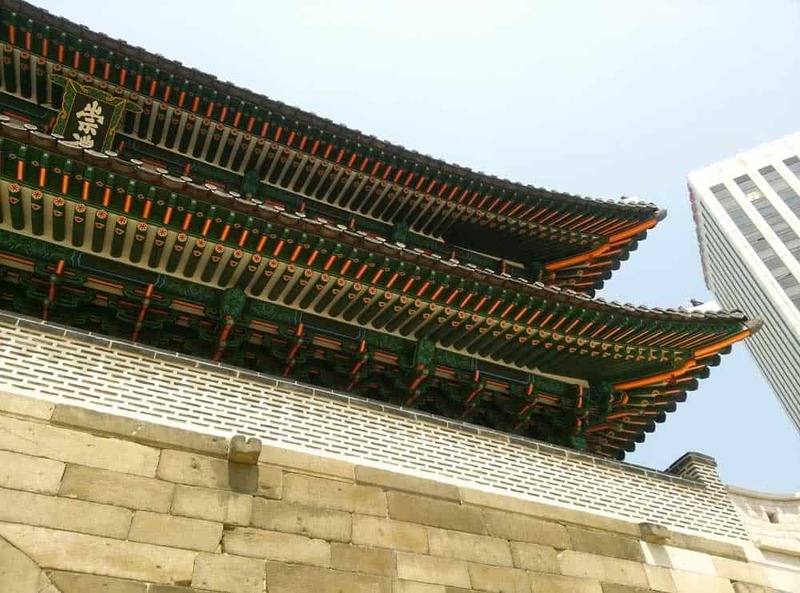 Seoul City 1-Day Tour: A full-day tour taking in some of Seoul’s top sites from Gyeongbokgung & Changdeokgung to the antique markets of Insadong. Ends with an option to watch the hilarious NANTA show or a visit to the Korean Folk Village. Afternoon UNESCO & Traditional Markets Tour: A delightful 4-hour tour that visits famous World Heritage Sites like Changdeokgung Palace as well as traditional markets like Insadong Arts and Crafts Market and Namdaemun Market. Hotel pick-up & drop-off and entrance fees are included. From Insadong, hop onto the efficient Seoul subway system and make your way towards Namdaemun Gate (officially Sungnyemun Gate) via Seoul Station. Pushing off of the eastern fringes of Sungnyemun is one of Seoul’s wildest attractions, Namdaemun Market. Yes, it’s overwhelming and a tad crazy. And that’s part of the reason you absolutely need to stop here one your first day in Seoul. Elbow-to-elbow crowds will greet you at nearly all times of the day at this jam-packed market. Literally thousands of stores bloom from the streets and in the surrounding multi-storied buildings, making Namdaemun Market the largest and oldest in Korea. Besides a never-ending supply of all the consumer goods you could possibly imagine, Namdaemun Market is most famous for its food. Peruse the stalls around Namdaemun Sijang 4-gil to chow down on some of the market’s specialties like kalguksu (hand-cut wheat noodles) and galchi (hairtail fish). 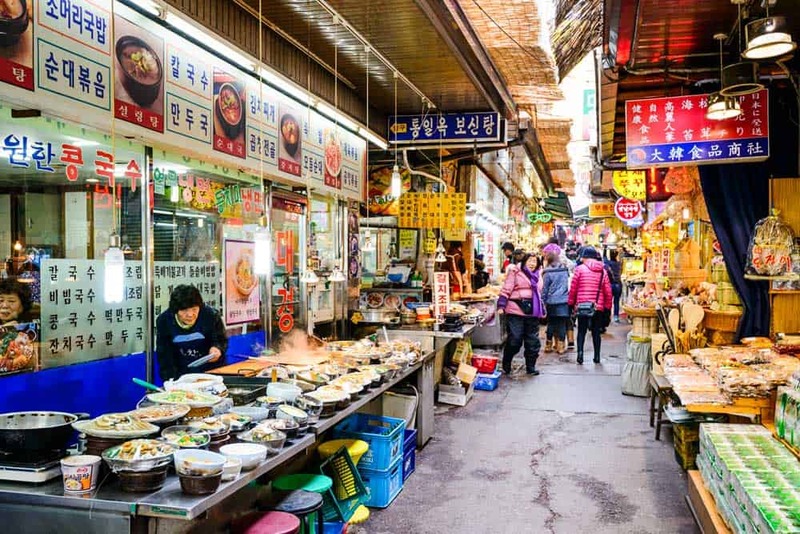 Korean BBQ & Local Street Food Tour at Namdaemun Market: Foodies will love the opportunity to dig into to all the delicacies that Namdaemun Market has to offer on this 2-hour local food tour. Seven food specialties are sampled including fish cakes, Korean dumplings and donuts. Afternoon UNESCO & Traditional Markets Tour: A fantastic 4-hour tour that combines a visit to Changdeokgung with two traditional Seoul markets including Namdaemun. Walking east from Namdaemun Market, you’ll find yourself in the grips of Myeongdong, one of the hippest neighbourhoods in Seoul. Like Ginza in Tokyo, Myeongdong is where Seoulites pound the pavement in search of all the latest trends. And even if shopping for Korean cosmetics or fashion accessories doesn’t tickle your fancy, eating yummy street food slots in among the top things to do in Myeongdong. Don’t be shocked when you follow your nose to seemingly un-Korean selections here like grilled cheese lobster, French fry-coated hot dogs, and tornado potatoes. For something a little more Seoul-ful try the tteokbokki (spicy rice cakes) or hotteok (sweet Korean pancakes) or eomuk (fish cakes). Morning Seoul Walking Tour: A morning tour (with a full-day option) that brings you through the most delicious quarters of Namdaemun Market, stops for big city views at Namsan, and drops you into the bustling shopping streets of Myeongdong! Seoul Shopping Tour: Won burning a hole in your hanbok? Experience a full-day of shopping with a guide through three of Seoul’s top consumerist havens—Paju, Dongdaemun, and Myeongdong. Hotel pick-up is included. 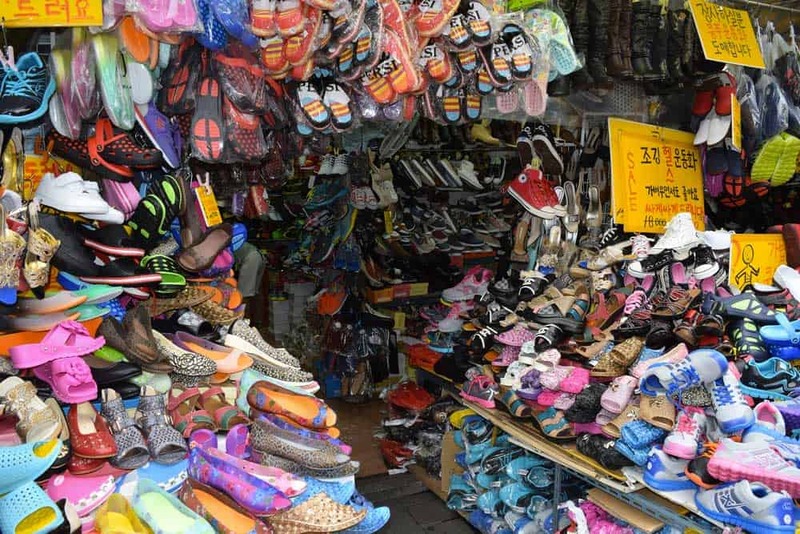 Myeongdong District Tour: Dig into everything Myeongdong has to offer on this complete 5-hour shopping & culture tour. Includes a hearty traditional Korean lunch and hotel pick-up/drop-off. From Myeongdong Station at the heart of the district, it’s a short 10-15 minute walk through winding streets to the base of Namsan, a mountain that towers 262 metres over Seoul from the south. If the weather’s not too muggy and you’ve got some energy to burn, you might want to get some exercise and attempt the 30-minute climb up Namsan. Otherwise, hop onto the Namsan Cable Car (₩8,500 return), a 0.6-kilometre tramway that jets up the mountain toward Seoul’s most popular viewpoint, N Seoul Tower. Want to prepare for a hike up Namsan? Check out this complete guide of what to wear in Korea to make sure you’re packing all the proper travel gear essentials! One of the true icons of Seoul, N Seoul Tower serves up spellbinding 360-degree views over the city at a dizzying height of over 230 metres. 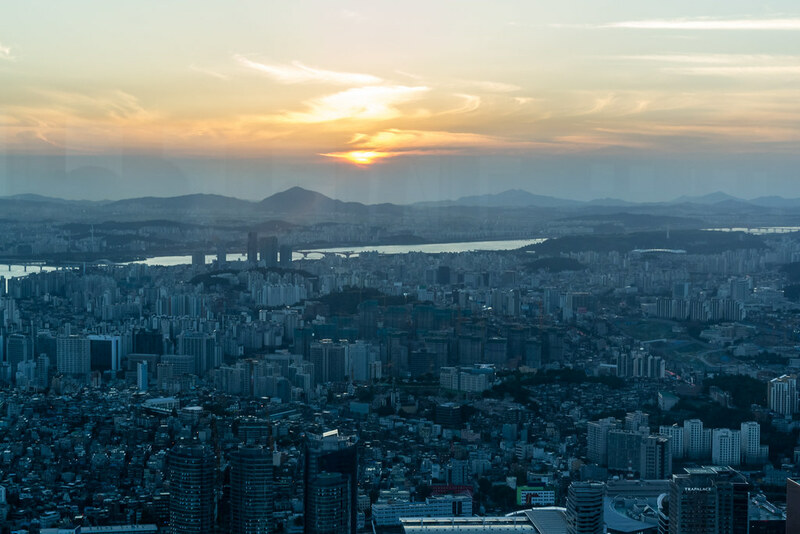 Although the scene at the observation deck (₩10,000) is arguably best at sunrise, sunsets at N Seoul Tower are a close second—even if slightly more crowded. Cross your fingers for a clear day when you’ll be able to see well beyond the city into the mountainous hinterlands. Should your appetite still not be sated, grab a (slightly less-than-budget-friendly) French meal at n.GRILL to continue your admiration of Seoul from above over dinner. N Seoul Tower Observatory Ticket: Just interested in the views? Save time and money by getting your observation deck ticket before you arrive! N Seoul Tower and Hanok Village Tour: Combine a visit to N Seoul Tower with the lesser-known Namsan Hanok Village or Namdaemun Market on this 3.5-hour combo tour. Includes entrance fees, hotel pick-up and transportation. Half-Day N Seoul Tour and Dongdaemun Shopping Tour: Start your day off with view unto Seoul at the “Love Locks” at the base of N Seoul Tower before heading out for some retail therapy around Dongdaemun and Myeongdong. Heading back down to Myeongdong Station, zoom a couple stations north to Dongdaemun. If the prices at the boutiques of Myeongdong left your wallet hiding in fear, you might just find what you’re looking for at Dongdaemun. Whatever time of day or night you find yourself here, the whole city will seem to have the same idea. Seoulites love perusing the shops of Dongdaemun, knowing that they offer some of the city’s best deals on clothing and other goods. Unlike other shopping areas in city, retailers at Dongdaemun won’t shy away from cutting a deal. Sharpen your bargaining skills and haggle over prices to run away with some stellar deals on new clothing and accessories. Most shops deal in cash only so stack up your won! 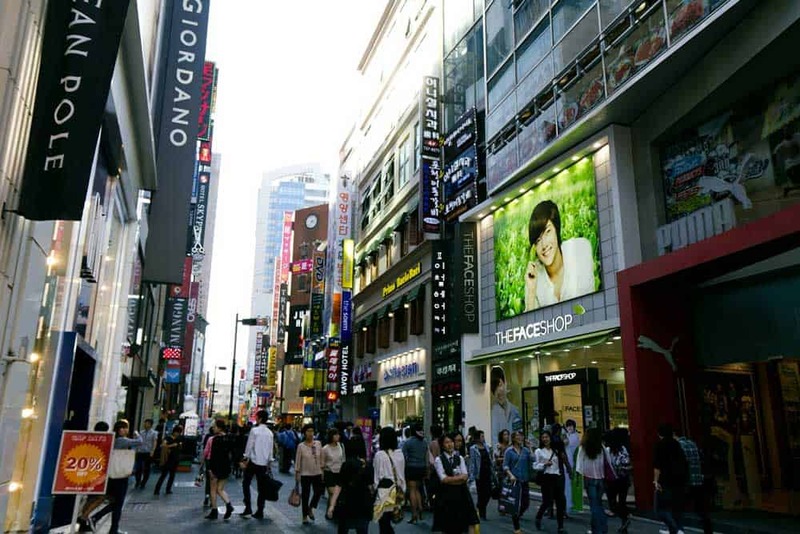 Half-Day N Seoul Tour and Dongdaemun Shopping Tour: Combine a visit to Namsan Mountain with a day of shopping in Dongdaemun and Myeondong on this full-day tour. Night Shopping Tour in Seoul: Seoul’s shopping scene truly comes to life after dark and you’ll get to watch it all unfold on this 4.5-hour night tour. Visit both Myeongdong and Dongdaemun for a little spending before heading to Gwangjang Market for some Korean food delicacies. Gateway Korea Guesthouse: A cozy guesthouse tucked away in a quiet residential area. Gets top marks for its owners who’s hospitality is second-to-none. Sunbee Hotel Insadong Seoul: A modern 3-star hotel in the heart of buzz-worthy Insadong. Rooms are both comfortable and spacious, offering excellent value considering its near-perfect location. Aloft Seoul Myeongdong: One of the most stylish 5-star hotels in Seoul. Its prime location in Myeongdong puts you instantly in touch with Seoul’s best shopping and street food. Full-Day Essential Seoul Tour: A fun & informative full-day small-group tour of Seoul taking in famous sites like Gyeongbokgung Palace, Insadong, Bukchon Hanok Village, and Myeongdong. Tour includes all entrance fees and lunch. Small-Group Korean Night Food Tour: Dig into Seoul’s eclectic food scene on this 4-hour evening food tour. Food tastings include kimchi (spicy fermented vegetables dishes), savoury North Korean pancakes, and makgeolli (fermented Korean rice wine). Seoul Morning Walking Tour: A morning walking tour (with a full-day option) focusing on the area around Myeongdong including Namdaemun Market and Namsan Mountain. Two major airports serve Seoul: Seoul Gimpo International Airport (GMP) and Seoul Incheon International Airport (ICN). Several airlines including Korean Air and Asiana Airlines serve Seoul Incheon International from most major North American and European cities. Looking for cheap flights to Seoul? I’d recommend searching for airfare deals on Korean Air. Not only does Korean Air fly from nearly every corner of the globe, they also often have special promotions on flights to Seoul and other Asian destinations! Want to party till the sun comes up? The gritty Itaewon area is a favourite for nighthawks who want to dip their toes into the insanity that is Seoul’s party culture. Craving more architectural beauty? Throw in a quick visit to Jongmyo Shrine, one of the most beautiful structures in Seoul that’s just south of Changdeokgung Palace. Can’t get enough of Seoul’s markets? Plug your nose and start your day watching the early-morning fish auctions at Noryangjin Fish Market, a bustling seafood market that’s the largest of its kind in Korea or head over to Gwangjang Market for some of the Korean capital’s tastiest treats. Ready to see Seoul at its quirkiest? There’s a ton of weird & wacky things to do in Hongdae, an artsy and youthful neighbourhood in the Mapo-gu district.